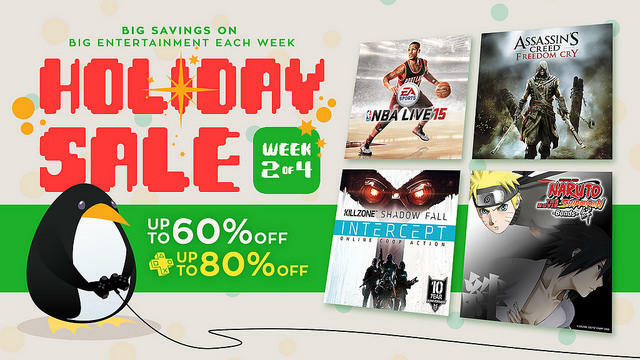 PlayStation Holiday Sale Week 2 - Who Cares? Suikoden II is Out! I'm beginning to wonder if the reason I am not getting hyped for these holiday sales is because I've already bought everything on my wishlist. That can't be true though, because my horrific Steam library still towers over my relatively small digital PlayStation collection. Week 2 of PlayStation's Holiday Sale is still soul searching for that drop dead amazing deal that I can't possibly pass up. It's not entirely Sony's fault either, because even I don't know what that game is right now. Persona 4 Arena maybe? Final Fantasy X on my PS Vita perhaps? What is that one game I am waiting for? Anyway, here is the list of games on sale this week. As always, PlayStation Blog also has a write up on movies and TV shows it is dropping the price on as well. Let's get bloody and dissect this thing, shall we? There really isn't that much to recommend. STRIDER was a decent reboot to the classic Capcom action franchise released earlier this year. I had a little problem with aimlessly running through its complicated "metroidvania" hallways, but the action scenes, aesthetic, and references to older games all do their part to make it a decent homage to the older arcades. Beyond that are a few indie games I haven't got around to trying just yet. Valiant Hearts: The Great War, of course, isn't an indie game as it was developed by Ubisoft, but it was still created in the vein of the indie scene. Octodad: Dadliest Catch also has quite a few fans out there, especially our own Executive Editor of Gaming, Joey Davidson. There isn't that much else to check out, so take my advice: drop your money into the Suikoden series. Both the original and its masterpiece sequel are available for $5.99 and $9.99 respectively, and they will provide you with a far better value for your money than anything else on sale this week.